I’m glad you’re here. My goal is to help you cultivate a life of beauty, simplicity, freedom, and adventure...right where you are. I'm an idealist, dreamer, organic farmer, and writer. With my chef husband and two young daughters, I'm slowly growing roots on our 17 acre farm in Santa Fe, Tennessee (just south of Nashville) and pursuing our dreams of shared meals at a long table under the stars, healing and beautifying the land, and creating a special community through simpler living. But trust me, you don't have to live on a farm in Tennessee to craft a beautiful life. While living for 11 years in big city Dallas surrounded by concrete, traffic, and construction cranes, I sought out every field of green grass, hiking trail, and wildflower. I've seen the beauty of humanity in the tiniest, poorest most remote villages in India and walked wide-eyed through slums in Africa. I’ve washed my hair in water wells with the most joyful children at my side. Whether you live in the countryside, a bustling city, or total suburbia, I hope you’ll join me in appreciating your everyday life with fresh eyes. We're in this together. >> Stay in touch - join the community we’re building here. >> Hear more of my story on episode 140 of the podcast, Simple with Tsh Oxenreider. I grew up an Italian-American girl in New Jersey before venturing away from the northeast to attend Belmont University in Nashville. During my freshman year, I was known as "the Jersey girl blasting rap music" on our dorm hall but quickly embraced living in the South, woo'ed by the glory of '90s country music and middle Tennessee's rolling green hills. During and post-college, I worked in the Christian music industry on tour promotions and new album releases for artists such as Caedmon's Call, Bebo Norman, Third Day, and Jars of Clay. This was before the age of social media, so we used old-fashioned phone calls, posters, and message boards! In 2005, I moved to Dallas and left the music industry when I was given the unique opportunity to help start an Africa relief non-profit called Mocha Club. For five years, I had the joy of helping tell the stories of my African brothers and sisters and recruiting supporters for our education, HIV/AIDS, women at risk, orphan care, and clean water projects. Somewhere in the midst, I learned about real food. After seeing the documentary, Food, Inc., in 2009, my husband and I began to passionately pursue organically and sustainably grown food from local farmers. We jumped into our tiny VW Rabbit and visited nearby Texas farms where we loaded up huge coolers full of local meats, cheese, fresh baked bread, and organic produce. Word quickly spread, and soon we were distributing this nutritionally-dense and beautifully-raised food to friends and their friends in Dallas parking lots. Out of this newfound passion, we started Urban Acres, an organic produce co-op, organic market, and urban farm. Our produce co-op started with 17 families and grew to over 2,300. I illustrated chalkboards for our farm store and worked the register with a newborn baby strapped to my chest. That same baby grew into a toddler who walked around the corner to our own market and knew where her food came from. It was an incredible experience, but after 11 years in the city and another baby, we yearned for our own land and the opportunity to grow our own organic food. We felt the winds of change carrying us to Tennessee, where I'd always hoped to return. In 2015, our family moved to Tennessee to pursue our own land and farm. We bought a 1940s farmhouse with 17 acres of blank land. On the first day of spring 2017, we broke ground and began plowing the soil that has become Kindred Farm. Of all the things I ever thought I'd be, a farmer was never one of them. But to my surprise, I've found a greater version of my true self while digging my hands into the soil and hosting dinners at Kindred Farm. 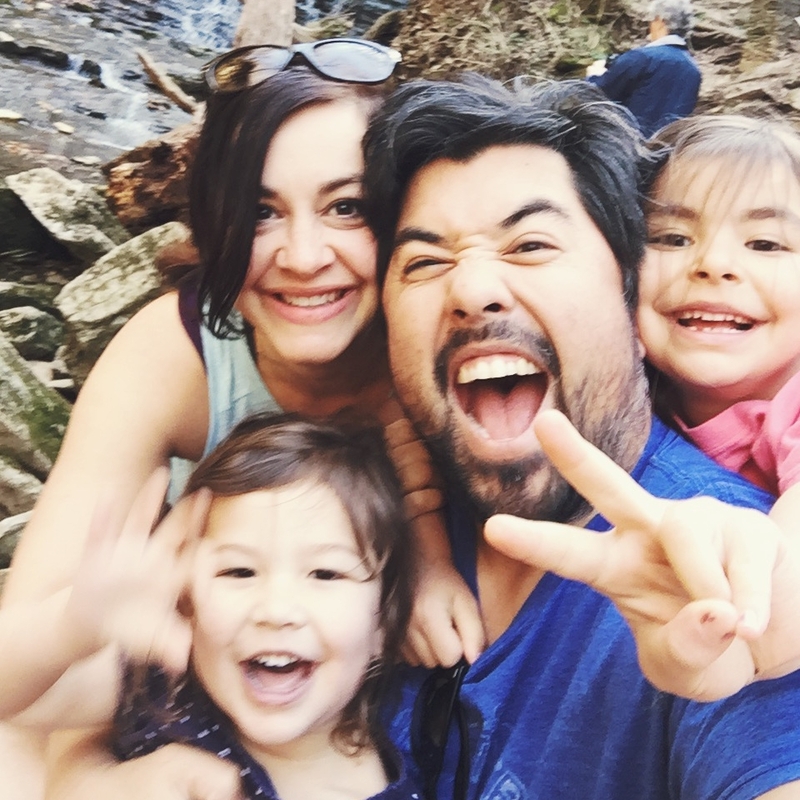 I also love homeschooling our two wild and free daughters and fostering my creativity through ukulele-playing, waterfall-chasing, art, and photography.